Companies everywhere are investigating new ways to work using digital tools and technologies to make what they do faster, more efficient, and ultimately more profitable. Their collective efforts are referred to as the “digital transformation” you’re always hearing about. Of course, there is no “digital transformation” without excellent connectivity to the wider internet. And here, “excellent” means high-bandwidth, low-latency connections that are as reliable as they are fast. Everyone understands why having a fast internet connection is important – it makes transferring data around the organisation, using high-bandwidth applications, backing data up to the cloud, and communicating via high-definition video streams possible. But not everyone understands why low latency is just as important. Latency is the word used to describe the delay between a computer sending data to a destination computer and receiving a reply. It’s measured in milliseconds – thousandths of a second – and is responsible for how responsive business applications are. Most relevant for employees, the latency of a business’s internet connection is what impacts on the end-user experience of the digital tools that are meant to transform organisations into the agile, customer-centric, and highly profitable businesses of 2019. For example, when running some sort of payroll solution that requires employees to log in to a web portal through a browser, or a custom-built business application running on a virtual machine in a local datacentre, latency determines how quickly those solutions respond to clicks. If employees spend a lot of time waiting for the solution to appear to do something, chances are their PC is receiving slow responses from the destination server due to the business connection’s high latency. This isn’t good for the employee’s peace of mind, the customer experience, or the business’s bottom line. Such underperformance can be caused by several factors, from general network congestion caused by too many users on the business network, to applications saturating the connection, to the performance of the business’s chosen Internet Service Provider (ISP) and the internet package they’ve gone with. Internet connections that say they are tailored specifically for business use typically cost more than those aimed at home users, but they are set up to specifically prioritise business-related network traffic, which ensures low latencies to the kinds of applications businesses are likely to use. They also come with service level agreements that guarantee uptime and the time to fix any problems; this is how they justify the additional cost. It’s fair to say, then, that a low-latency, high-bandwidth internet connection is a key component of any successful digital transformation. And right now, the best connections that tick all of these boxes are those provided over fibre-optic cables. 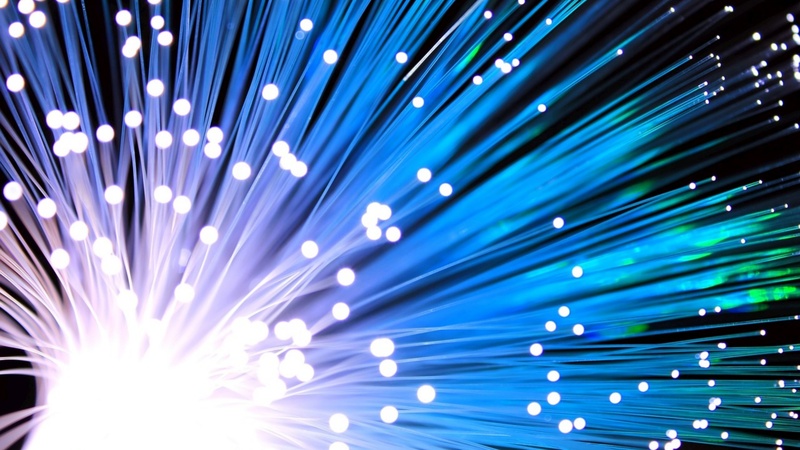 This is why companies like Dark Fibre Africa are committed to deploying world-class fibre-based open networks that meet global performance and reliability standards. ISPs are free to build their own networks on top of these open networks that offer the kind of connectivity options that are good for businesses and their digital transformation efforts.